Images of conflict among ant societies. Fire ants may have taken over Texas, but the invasive population is not harmonious. 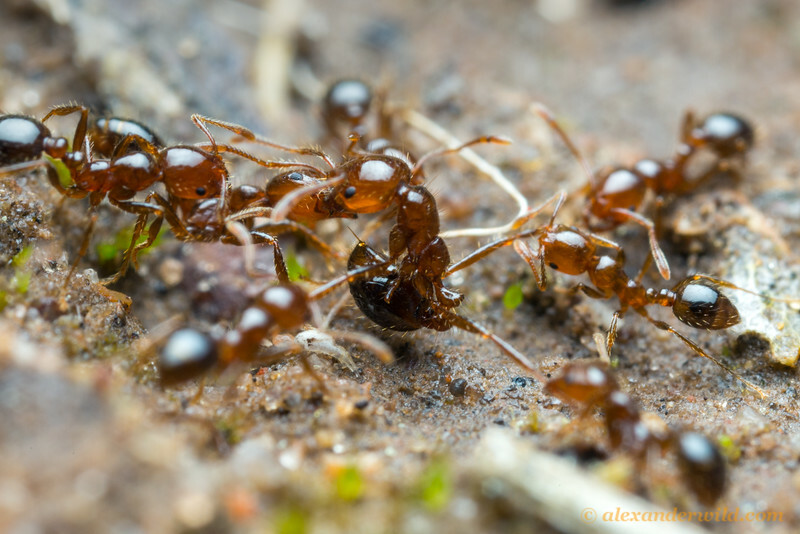 Here, workers have pinned down an ant from a rival colony, who defends herself with her stinger. Bastrop State Park, Texas, USA.